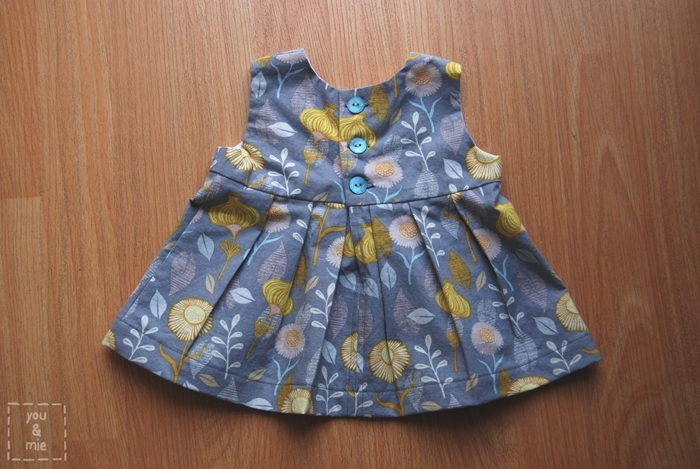 Just a quick post today of a dress I made for Kaya a couple of weeks ago. Remember when we had some family pictures and the girls needed something to wear in purple/gray? Well Yuki got her Skater Dress, but Kaya needed something too. I didn’t want her to show up in onesie or something when I knew everyone else was going to look nice. But it was the night before pictures and I still had to make Yuki’s dress, so I tried and tried and tried NOT to sew up something new for Kaya, especially since she’s a baby and does not need a new dress. But in the end, I couldn’t NOT do it! You guys understand, right? So I made her a Geranium. 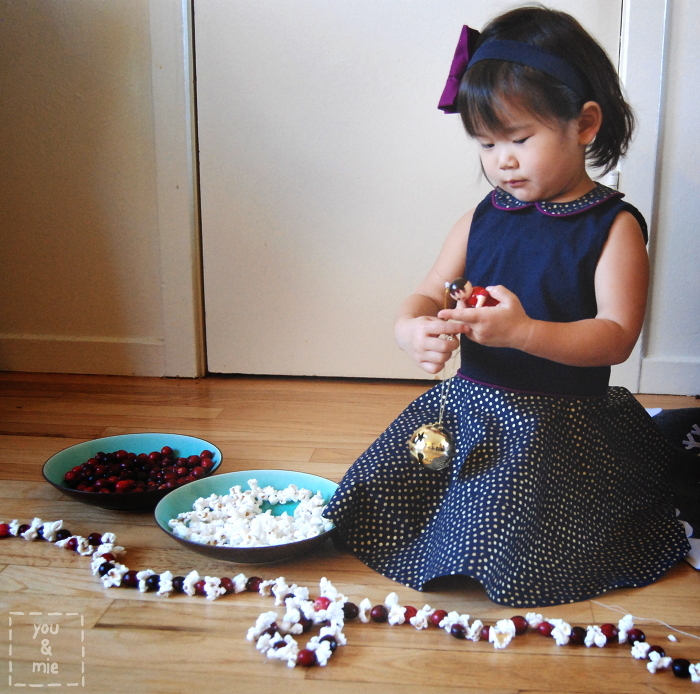 The perfect pattern for a quick and cute dress. This is my fifth Geranium! I know this pattern. I trust it. It never fails me. Anyone recognize the skirt fabric?? 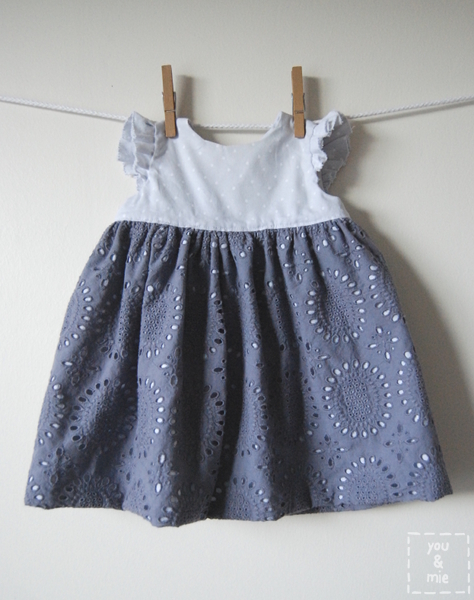 The bodice fabric and skirt lining is Dear Stella’s Polka Dot in Gray from their Mercer Line. I love the new Mercer Line and I’ve got some fabric just begging to be sewn up soon!! I just can’t seem to decide what it wants to be yet . . . The pattern calls for buttons in the back, but since I was running short on time/feeling lazy/making this for a baby who spends so much time on her back, I decided to go with velcro instead. May not look as nice, but it’s sooo easy to put on and I imagine, more comfy for baby too! So that’s it. Another dress for Kaya. She was able to wear it to a bridal shower recently and hopefully it’ll fit for another month or two. And then maybe I can pass it on to another baby, so it doesn’t go to waste. I don’t think I need to go into details about how great this pattern is – you already know I love it right? If you want to see the others I’ve made, here are #1, #2, #3 and #4. I’m trying to clear out some of my fabric stash and I have a small cut of this eyelet fabric that I’m thinking about selling as part of a destash sale. I haven’t worked out the details (how, when, where) yet, but I’ll be sure to fill you in if you’re interested in helping me get rid of some of my fabric. I’ll probably do a giveaway too. So stay tuned! Can you believe it’s February already!? Last week I shared Yuki’s Confetti Sparkle Hanami Dress and I mentioned I had sewn something for Kaya and myself in Confetti Sparkle fabric too. 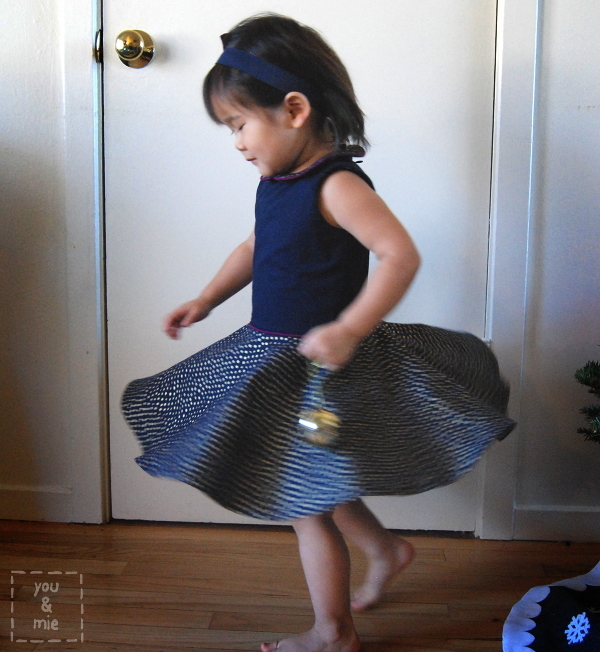 Well today I’m back to share Kaya’s holiday dress along with a few more pictures of Yuki’s dress. 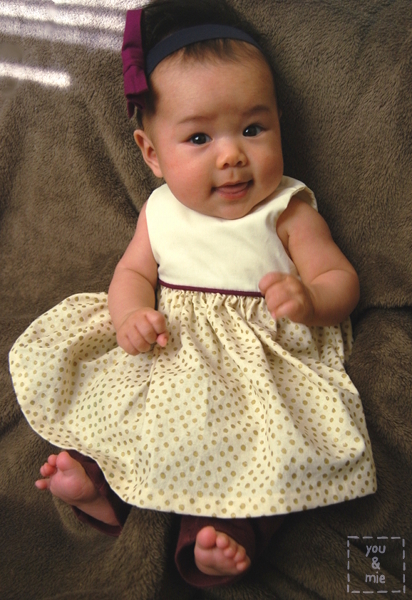 For Kaya, I went with the always adorable Geranium Dress pattern in size 0-3 months. I used Confetti Sparkle in Cream for the skirt and some leftover shirting from the lining of my wedding dress for the bodice. 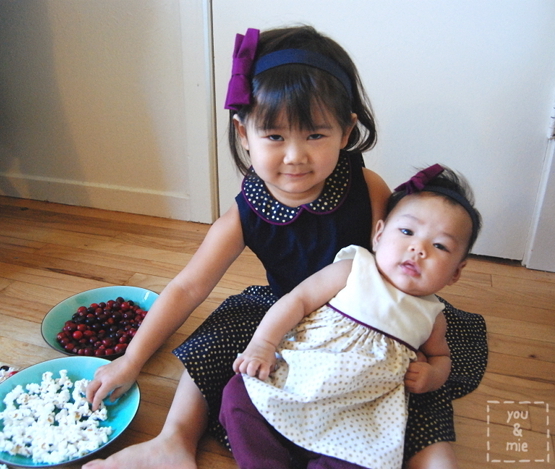 I used the same Berry piping around the waistline as Yuki’s dress, but it looks dark brown or maroon in these pictures. So that’s Kaya’s dress. 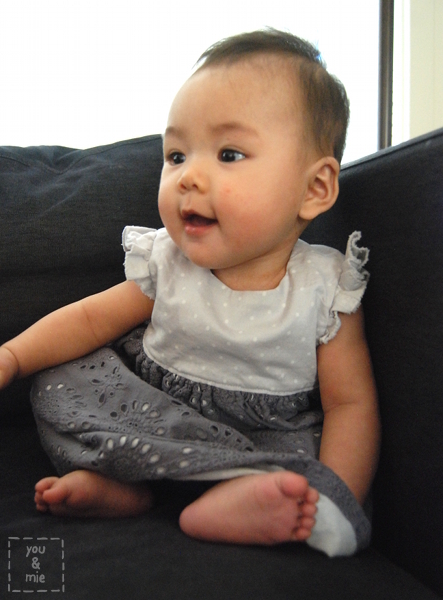 She is totally in drool and spit up mode over here, so the best part about this dress is that it doesn’t even show!! Kristin at skirt as top made a sorta similar, but waaaay more gorgeous dress in Cream Confetti Sparkle for her daughter! You should check it out, it’s seriously the perfect holiday dress. And in case you missed it, here’s Yuki’s dress in Navy Confetti Sparkle . . .
All the details of the dress can be found here. And I am so happy to report that Yuki loves the dress!! Almost as much as she loves popcorn. Yes, she did almost drop the baby trying to sneak some popcorn!! Haha. Caught her just in time . . .
Well I hope your holiday preparations are going well. I’m honestly starting to feel super stressed about all the things I want to get done before next week. I have a list of things I wanted to sew up as gifts, but I’m afraid that at some point I’m just going to have to let some things go. How are you doing with your lists? Feeling ready? I only made a few gifts this holiday season, but when I found out I was going to be visiting my favorite lil baby, Logan, I knew I had to make her something. Logan is 7 months old and the daughter of one of my best friends from high school. She lives in LA and she is precious! And since I had Geranium on the brain, I just had to sew up another one! 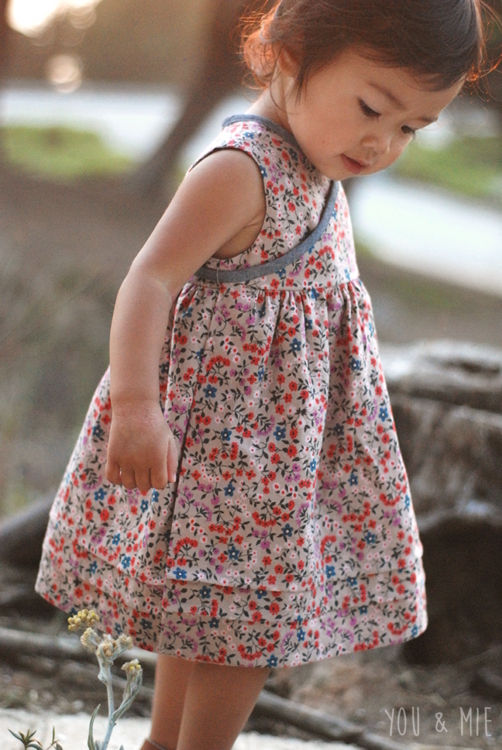 The pattern is Made by Rae’s Geranium Dress pattern and if you’ve checked out the pattern, you’ll know there are a ton of options you can choose for the dress. I was tempted to stick with my favorite combo (see my eyelet version), but decided I should try something at least a little different! With the advice of Melissa and Kristin, I settled on something simpler for lil 7 month Logan. Tunic length (more practical for the soon-to-be crawler), no sleeves, pleats (Logan is a modern and sophisticated gal) and of course, the notch. I can’t forgo the notch! Most patterns I own, I’ve only sewn once. 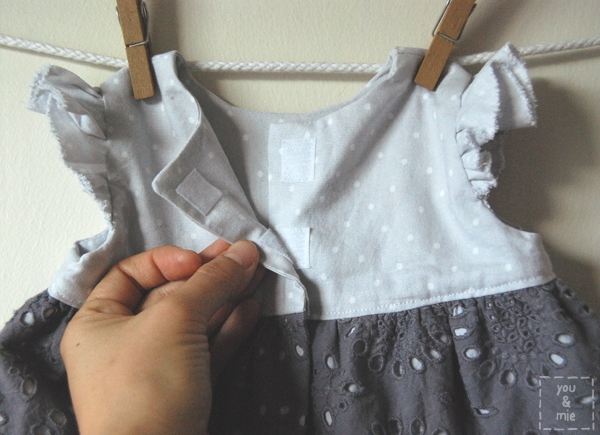 This pattern is one I know I’ll sew from over and over again. I already have ideas for lots of cute different Geraniums, but alas, Yuki only has one body. Good thing this pattern goes up to size 5T! Plus it’s a really simple yet beautiful project, so it makes the perfect gift! 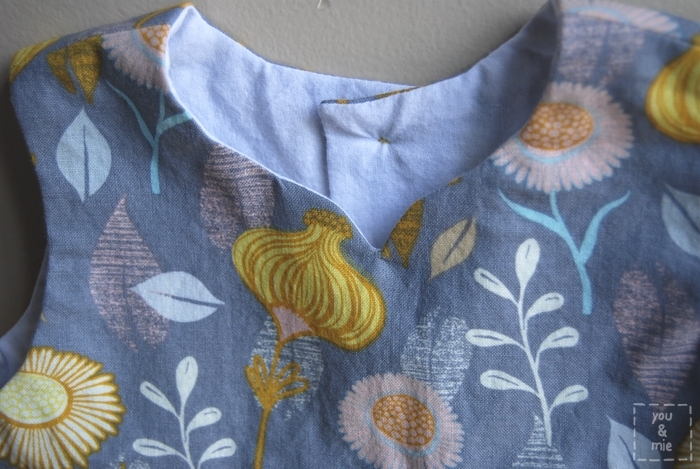 Here’s a close up of the notched neckline. Definitely my best yet (out of two), but still not perfect. It’s got a tiny dimple near the bottom that I couldn’t press flat. I’ll get it right one of these times! 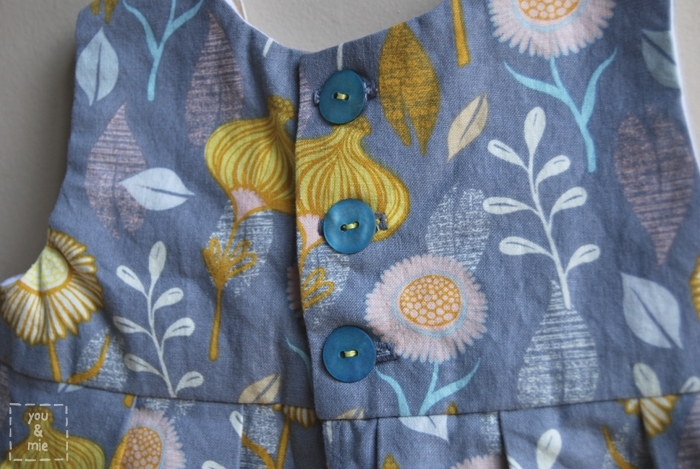 The fabric is from the line Timber & Leaf by Sarah Watts (you should check out the rest of the line – it’s gorgeous!). 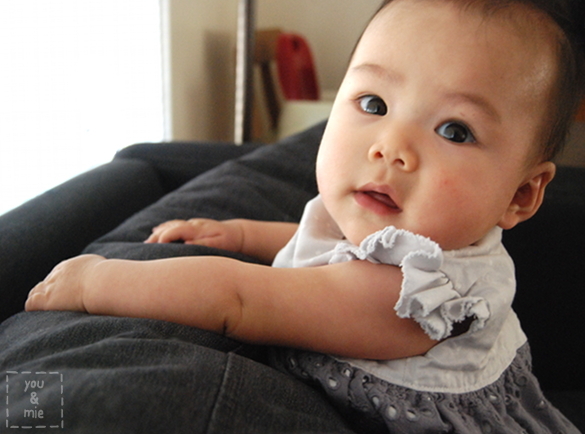 I bought it at one of my new favorite fabric stores in the Bay Area, Stonemountain and Daughter in Berkeley. I’ve gotten a lot of amazing things there recently and if it weren’t across the bay, I swear, I’d be there all the time! The back closes with 3 beautiful blue buttons just like Logan’s eyes. I was going to sew them on with gray thread, but the needle I happened to grab already had some almost-neon yellow thread in it that I ended up using. Thought it went well. I’m slowly getting back into the swing of things around here, but I’ve been a bit under the weather so it’s been tough. To be honest, I haven’t touched my sewing machine since I left for my winter vacation 2 and 1/2 weeks ago even though I’ve already been home for over a week! I’m hoping to get my sewing mojo back again soon. 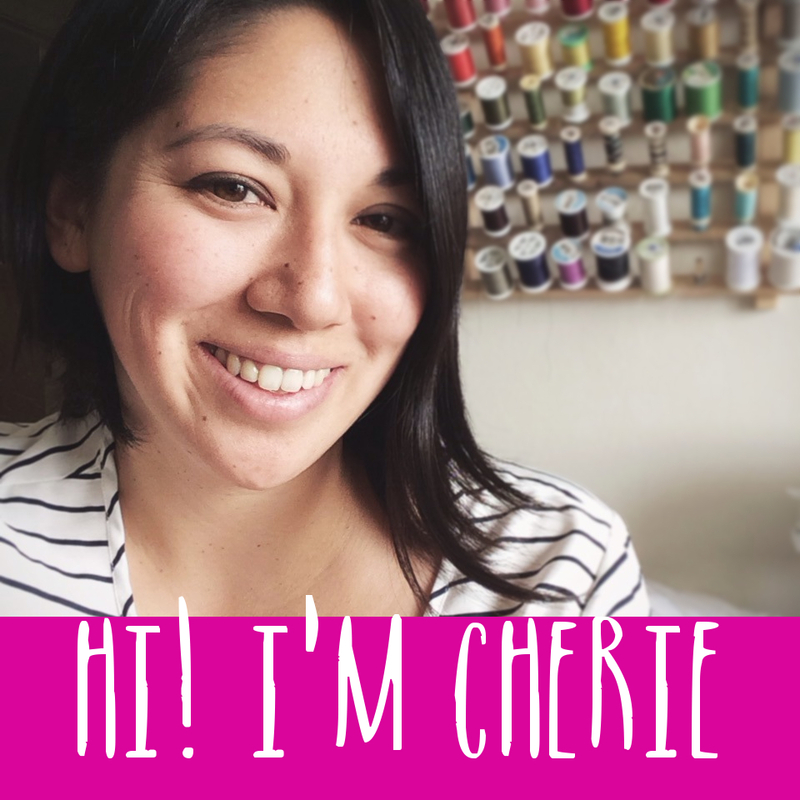 But don’t worry, I’ve got lots of new projects planned for around here, including my post for the Basic Bodice Design series over on iCandy handmade coming up next week! How are you doing? Did you take a little break after the busy holiday season? Or did you dive right back in? Another Made by Rae pattern is heeeeere! I cannot tell you how much I love all of the patterns by Rae that I’ve tried so far and this new one is no exception. 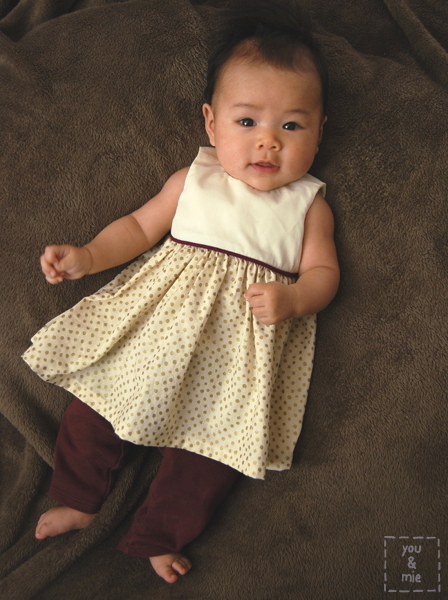 It’s called the Geranium Dress and it is an adorable dress pattern for sizes 0-3 mo. to 5T. I feel like this is a really amazing must-have dress pattern for your collection. I was lucky enough to be able to test this pattern and decided to use this grayish-lilac eyelet that I’ve had in my stash for awhile from Fabrix (I got it for cheap!). I lined it with a plum fabric and I love love looove the way it came out! 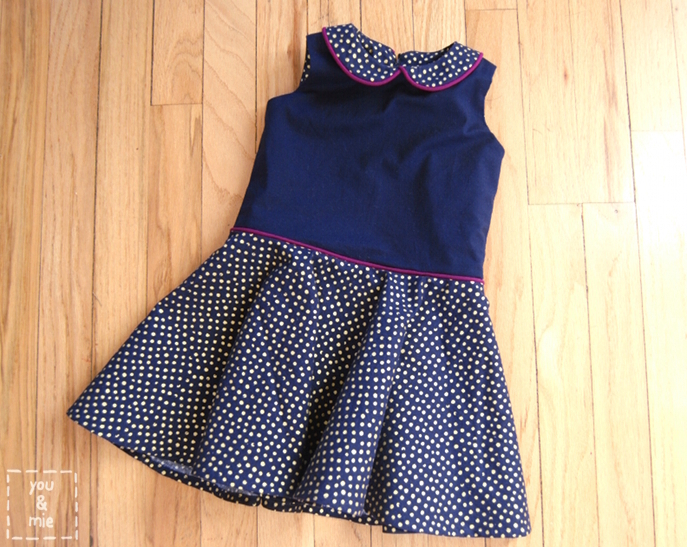 My favorite part is all the variations that are included in the pattern so you can construct the perfect dress or tunic for your little one. You can get a little look here at all the options. There are 3 sleeve options, 3 neckline options, 2 skirt options, 2 length options, and an optional patch pocket. With this one pattern you can make a million variations! 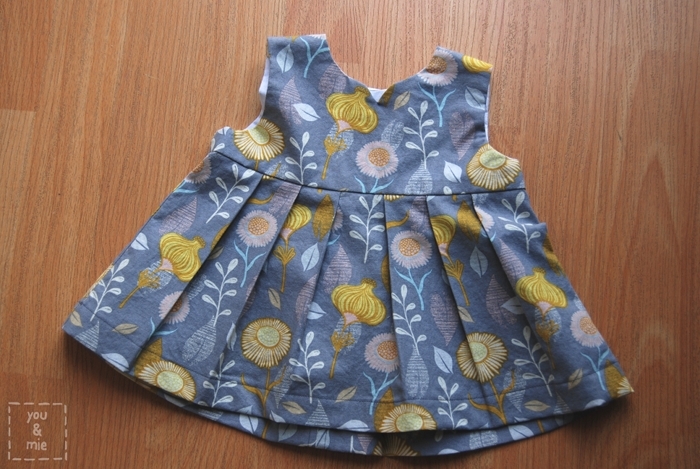 For my first Geranium, I chose a notched neckline with flutter sleeves, a gathered skirt and in dress length. 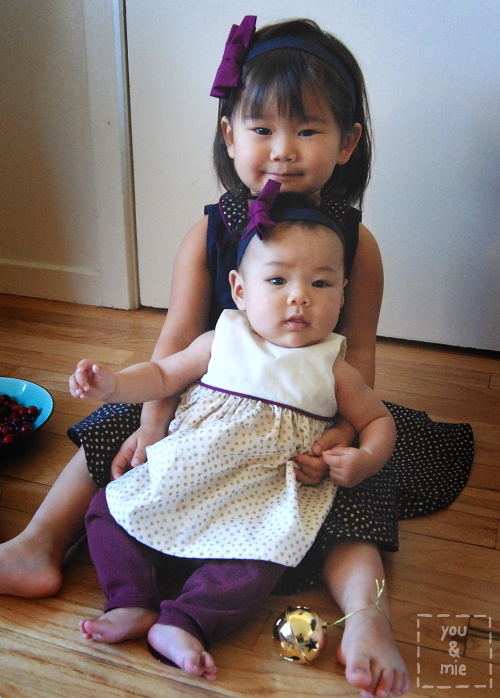 It’s my favorite combo right now, but a mini-Washi dress is hard to resist too! The pattern is of extremely high quality, which is what I’ve come to love about and expect from Rae. It’s well written with great diagrams and photos and extremely helpful hints. 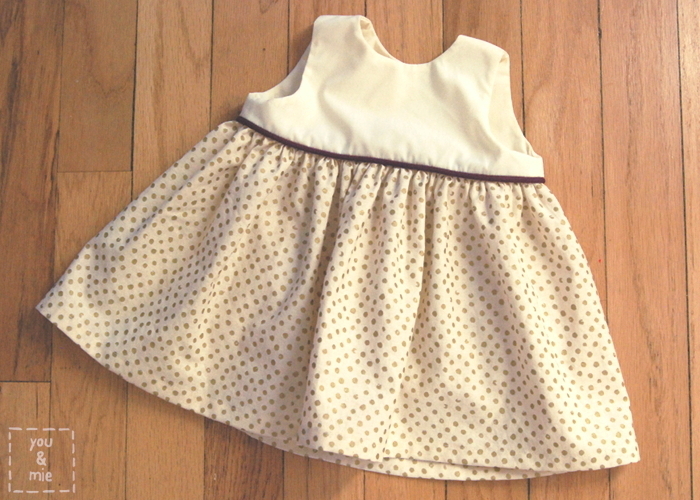 The dress is a pretty fast and simple sew, and yet it yields gorgeous results, which in my opinion, is really the best kind of pattern. Speaking of which – are you all done with your holiday sewing? I’ve gotten a few things checked off my list, but still have a few left to go, some of which will be sewn after Christmas! Better late than never, right? Well, I may pop in over the next 2 weeks, buuuuut I might not. 🙂 So until next time, please take care, stay safe and enjoy a beautiful and wonderful holiday season with those you love!